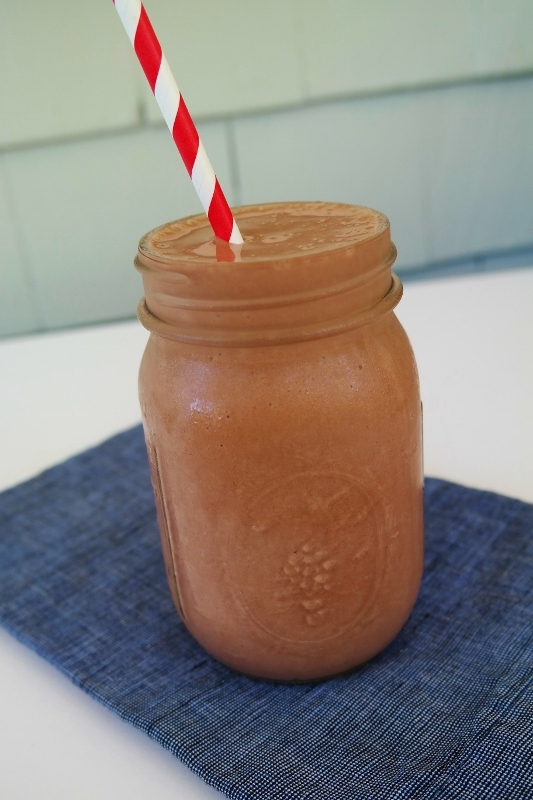 Instead of missing out on the great taste of your favorite sweet treats, try this healthy and low-calorie chocolate milkshake, which is made with wholesome and nutritious ingredients. Basically, it's the best of both worlds: decadent dessert loaded with good-for-you-ingredients. We all love dessert, right? But, of course, these delicious treats aren't usually low in calories or friendly on the waistline, especially if you're watching your weight. Instead of missing out on the great taste of your favorite sweet treats, try this healthy and low-calorie chocolate milkshake, which is made with wholesome and nutritious ingredients. Basically, it's the best of both worlds: decadent dessert loaded with good-for-you-ingredients. Enjoy! Directions: Combine ingredients in a blender until smooth. Serve immediately.